Breitscheidplatz is the name of the square where you will find the Votive Church of Kaiser William, as well as other important buildings. It was built in 1889 and originally called Gutenbergplatz, in honour of the inventor of the printing press. However, a few years later the name was changed to the rather long Augusta-Viktoria-Platz, in memory of the Prussian empress. Finally, during the 1940’s its name was changed once again to the one it carries today, in honour of another famous individual, Rudolf Breitscheid, a German social democrat who died in 1944 in a Nazi extermination camp. After the First World War the Breitscheidplatz became the place where Berlin’s intellectuals and artists often gathered. In particular, it was in the Romanisches Cafe that they met together to exchange opinions and progressive ideas. The cafe was situated at number 53 Budapester StraBe, right where the Europa-Center now sits, it is the building which sports the Mercedes symbol. With the redevelopment that the Breitscheidplatz underwent after bombing during the Second World War, the square ended up becoming the symbolic centre of West Berlin. What’s more, in 1965 the 86 metre high Europa-Center building was inaugurated. Thanks to this commercial centre the Breitscheidplatz became known as ´West Berlin’s commercial zone`. The Europa Center remains standing today and is home to shops, cafes and restaurants, as well as being a tourist attraction. As you will have seen, the Breitscheidplatz is often surrounded by stalls and booths belonging to itinerant street vendors who sell all kinds of objects. It is also common to find here skaters, mime-artists and other acts. 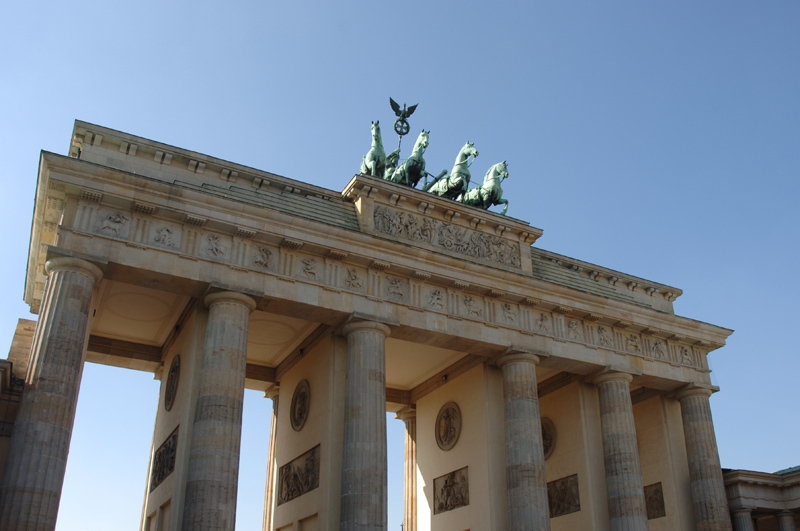 It is without doubt one of Berlin’s liveliest areas. Make sure you also visit the fountain known as ´Wasserklops`, whose rough translation is ´The Water Rissole`.